In 2017, Valiant evolved by adding a BGS-graded card in each box. 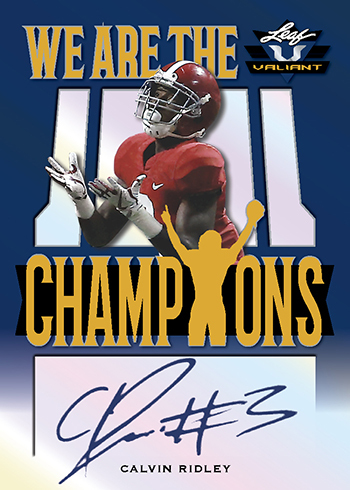 That addition continues with 2018 Leaf Valiant Football. With today's cost to have cards graded, that addition truly adds value to this product. 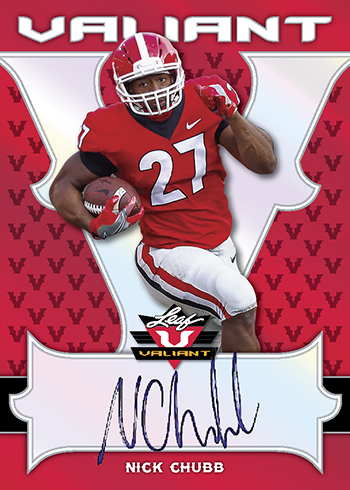 As usual, it’s an all-autograph release centered on the year’s draft class with particular attention on offensive players from positions like quarterback and running back. 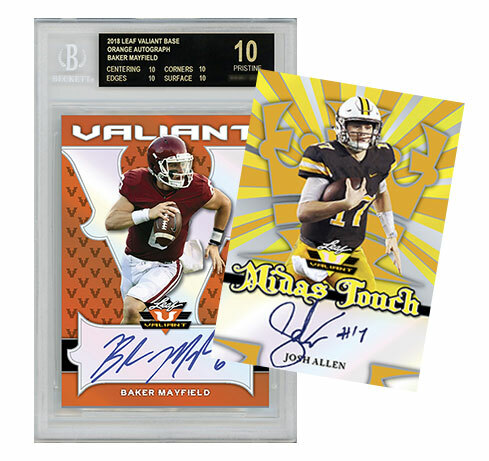 Every box of 2018 Leaf Valiant Football has four cards. All are signed with on-card autographs. Bright colors and chromium stock are another thing that’s back for another year. This includes parallels throughout the various aspects of the checklist, both base autographs and inserts. The insert lineup includes Midas Touch, Rising Stock, We Are the Champions, Big Targets and Take It to the House. There’s also Here Comes the Boom, which has a pop art look to it. All of the BGS-graded cards in the product are either 9.5, 10 or BGS 10 Black Label cards.